the Royal College of Surgeons (MRCS UK). 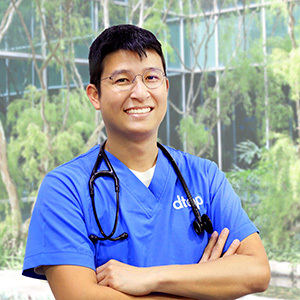 Over the last five years, Dr Loh has gained a broad range of experience comprising of Emergency Medicine, Family Medicine, Otorhinolaryngology (ENT), Venerology and Dermatology through postings in various multi-disciplinary clinics and tertiary hospitals in Singapore. During his 2 years of ENT after housemanship, Dr Loh participated in foundation surgical courses in ENT offered by tertiary institutions. He has also presented ENT research posters in conferences abroad. He is competent in numerous procedures including aural toileting and flexible nasoendoscopy. Currently, he is completing his Diploma in Otolaryngology-Head and Neck Surgery offered by the Royal College of Surgeons in England. His interest in Dermatology grew in particular during his posting at National Skin Centre in Singapore where he gained different perspectives from numerous subspecialties clinics ranging from Pigment, Acne to Eczema clinic. Currently, Dr Loh is pursuing his Postgraduate Diploma Practical Dermatology with the University of Cardiff. He has also worked at the Department of Sexually Transmitted Infections Control Clinic in Singapore where he further honed his medical knowledge on patients with sexually transmitted diseases. Dr Loh also holds valid certificates of competency by the Dermatological Society of Singapore in areas covering dermal fillers, botulinum toxin injections, laser hair removal and chemical peel. Dr Loh is currently completing his Graduate Diploma of Family Medicine. With a combination of skill sets in ENT and Dermatology, he strives to make a positive difference to primary care.